From early morning school drop offs to harried homework sessions each afternoon — by the time your kids’ spring break comes around, you’re ready for a break too! That’s why Southern Travel Agency loves planning spring break trips that include a little luxury and to introduce the best luxury all inclusive resorts for families to you. It’s an amazing chance to relax and unwind together as a family. With some extra special pampering and simply amazing amenities, you’ll get to re-charge, so you can end the school year with gusto! And nothing lets you relax and unwind quite like a stay at an all-inclusive resort. If springing for a luxury all inclusive resort for your family during spring break sounds out of reach, here’s what you should know. Over the past four or five years, all inclusive resorts have all been trending toward luxury. There are very few places left that give you the “bare minimum” for an all inclusive — a place to rest your head and three meals a day. Nope — and we think that’s great news! Instead, most all inclusive luxury family resorts today take pride in serving up exceptional culinary experiences. They source fresh, local ingredients and develop creative and oh-so-appetizing regional cuisine, so you really get a taste of your destination. The all inclusive resorts for families have also stepped up their game in terms of services and amenities as well, with many upgrading to luxury bathroom suites, swim out rooms, and soaking tubs. Larger rooms and upgraded furnishings also make things more comfortable for families. And the very latest in all inclusive family resort trends have just been oozing luxury. 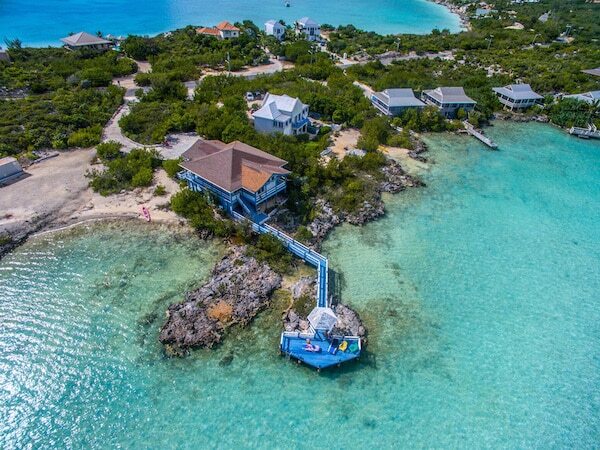 Think of the new over-the-water bungalows that are now popping up at all luxury all inclusive resorts for families in the Caribbean, like Sandals Royal Caribbean. So What Do These Luxury All Inclusive Resorts for Families Trends Mean For You? While a luxury all inclusive stay isn’t a budget option, you get a far better value for your price with today’s all inclusive luxury resorts. With so many amenities and activities to choose from, these all inclusive vacations are perfect for families — you can do as much (or as little) as you like. If you’re going to vacation together as a family during spring break, make it the best, most memorable vacation possible. Today’s luxury all inclusive resorts can do that for you. This is the jewel of Mexico. Warm waters, endless miles of sand, and plenty of water sports and activities to keep the kids busy — you’ll find it all in the Riviera Maya! This region of coastline in Mexico includes Cancun, Playa del Carmen, and Tulum, cities that offer up amazing opportunities to enjoy the natural scenery and rich culture. Where ever you stay in the Riviera Maya, make sure you save a day for a short trip to the ancient Mayan city of Coba in Tulum. The ruins are incredible, and a visit is an excellent way to add a little education to your kids’ spring break vacation. Turks and Caicos is one of the swankier islands in the Caribbean, making it a great choice for a luxury experience. Much smaller than Jamaica, and far less busier than the main islands of the Bahamas, Turks is also a great choice for families seeking more serenity with their island resort vacation. 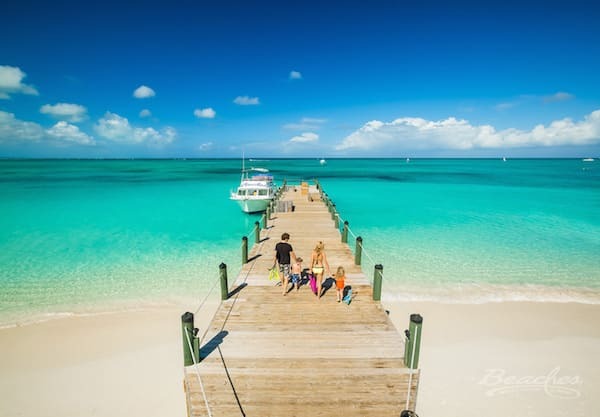 And it just so happens that one of the best luxury all inclusive destination for families is located here — Beaches Turks and Caicos. The kids will love the massive water park and the Sesame Street characters roaming the grounds, while you’ll love the elegant architecture and top-notch dining. It’s a winning experience for everyone! Maroma beach is just 30 miles north of Cancun in the Riviera Maya, but it gets its own special mention. Because it just might be the most exclusive, stunning beach in all of Mexico. There are fewer all inclusive luxury resorts for families here, which means you and the kids will have the warm golden sands practically all to yourself. Some of the finest all inclusive resorts also have outposts here, so you’ll get your pick of the best of the best. According to Fodors, nonguests of these Maroma family resorts don’t even have access to this pristine beach. If you’re looking for a spring break getaway with the family that feels worlds away (without the 8+-hour flight) — this is it! Ready to Book Your Best Family Spring Break Vacation Ever? If you haven’t made plans yet for a spring break getaway, we’d love to help you plan a special resort vacation for you and your family. But we encourage you to reach out soon — as spring break draws nearer, the resorts worth vacationing at will have limited choices. And if you want to get a head start on planning spring break for next year, it’s not too early. Get in touch with the STA team today to save your spot at one of the finest luxury all inclusive resorts for families.